This is the question posed by Depeche Mode on their new single, ahead of album #14, Spirit. In truth, having heard this track, it’s also the question long time Devotees might be asking the band. 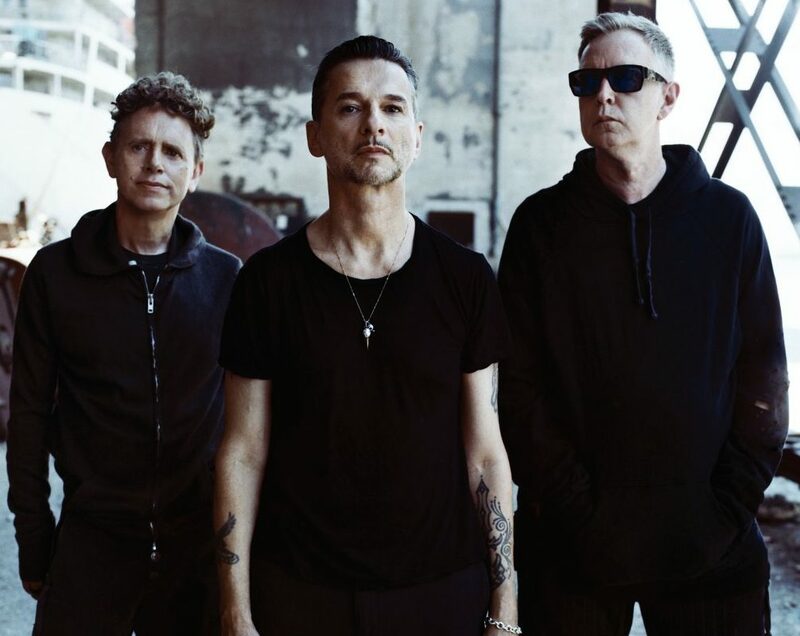 New producer, new single, new album, same old Depeche Mode? After three albums working, with varying degrees of success, with Ben Hillier, the Mode have turned to James Ford, producer of both Simian Mobile Disco and Arctic Monkeys, The effect on their sound, on the evidence of this track, has been negligible. Whilst Dave Gahan sounds, as usual, in great form, Where’s the Revolution’s vocal is melodically similar to Corrupt, from 2009’s Sounds of the Universe. In truth, the song sounds like it could have been taken from any of the last three albums, although I’m not sure it would have passed quality control on Playing The Angel. Lyrically, the “Where’s the revolution/come on people you’re letting me down” chorus is either a sly dig at the band’s critics or just asking for it. I applaud Martin Gore’s attempt to write beyond the biblical themes of love, sin, redemption which have so occupied the last 30 years, but it all feels a bit on the nose here. And, bearing in what is going on in the world at the moment, a little misjudged. Relax! Of course I’m going to buy it, but I’m looking forward to it just a little bit less than I was this last week. Perhaps the time has come to accept that the guys, in their mid 50’s now, know what works for them and the days of releasing killer singles ahead of an album are gone. Historically, the band has usually always released an absolute barnstormer of a track to announce to the world, “Hey, we’re back!”, like Personal Jesus or the brilliant Barrel Of A Gun. I say, usually, because… well, Heaven from Delta Machine. Perhaps that track points the way to a more, “Oh, hi, we’re back…” future. I suppose it doesn’t necessarily mean that the band are finished being the band that I love. Despite that slightly stodgy lead off single and three tracks too many on the album, Delta Machine had enough on it to keep me happy. So, I’m certainly not going to write Spirit off just yet, but I am mentally preparing myself for… well, a bit of a let down. Come on Depeche people, prove me wrong. This entry was posted in Depeche Mode and tagged Music, review, Spirit, Where's The Revolution. Bookmark the permalink. 2 Responses to Where’s The Revolution? Spot on review – it’s not a dreadful song but there’s always a nagging doubt that DM are simply ‘jamming away’ and slapping down anything resembling an idea, without a single synth melody in sight and stuck in some weird ‘100bpm mid-tempo land’. Sometimes they get away with it – but the weight (..and ‘wait’) of this new single on top of their back catalog is gonna test those foundations alright.